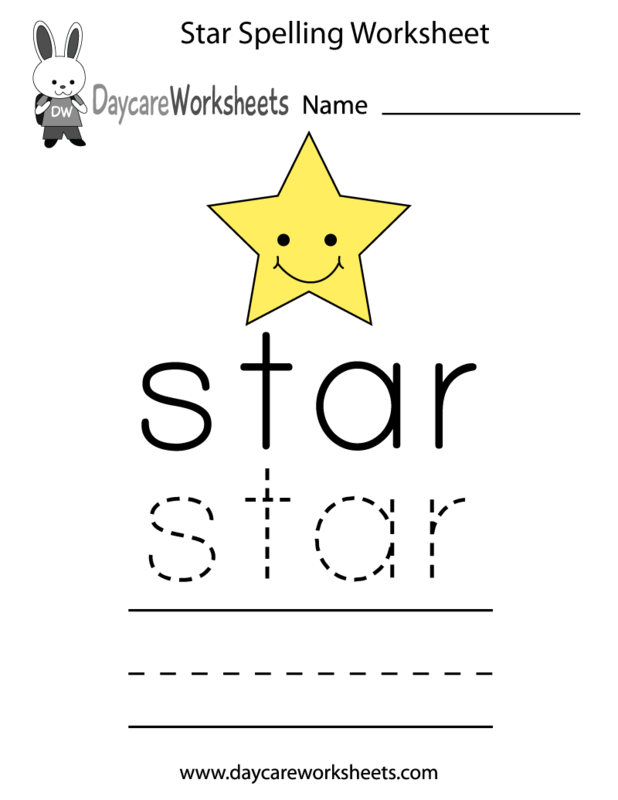 This star spelling worksheet is a wonderful way for preschoolers to learn how to spell a basic word. It also allows children to associate a word with a corresponding image, which helps them master their vocabulary. Aside from being used for children practicing how to spell a word, this worksheet can be made into a flashcard by cutting out the image and the word. The most important aspect of our educational website is usability. We strive to make it easy for parents, teachers, and childcare professionals to use our teaching materials. There are two colorful icons above this preschool spelling worksheet. The first is labeled “Download” which will prompt you to download the PDF version of this free English worksheet. Printing the PDF will produce the best results. The second icon is labeled “Print”. Selecting this will take you to another web page where the star spelling worksheet has been isolated so that you can print the worksheet inside of your browser.